We advice caution when travelling to Belize. 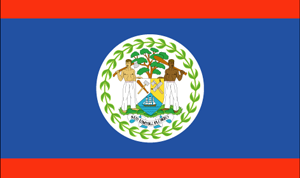 Belize is a country in North America (Central America) with around 1 million citizens and a land mass of 22,966 km². We detected travel advisories from 5 sources for this country. Belize shares land borders with Guatemala and Mexico. For these countries, the individual warning index is 2.6 (Guatemala) and 2.4 (Mexico). See danger map of the region. Exercise increased caution in Belize due to crime. Violent crime – such as sexual assault, home invasions, armed robberies, and murder – are common even during daylight hours and in tourist areas. A significant portion of violent crime is gang-related. Due to high crime travelers are advised to exercise caution while traveling to the south side of Belize City. Local police lack the resources and training to respond effectively to serious criminal incidents. Most crimes remain unresolved and unprosecuted. Read the Safety and Security section on the country information page. Exercise increased caution in Belize due to violent crime.